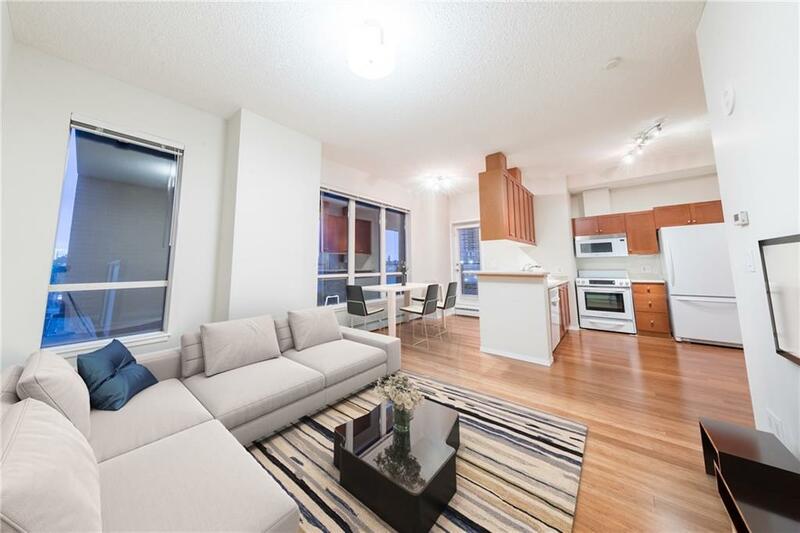 Boasting 10ft ceilings this corner unit is one of the largest in the building. 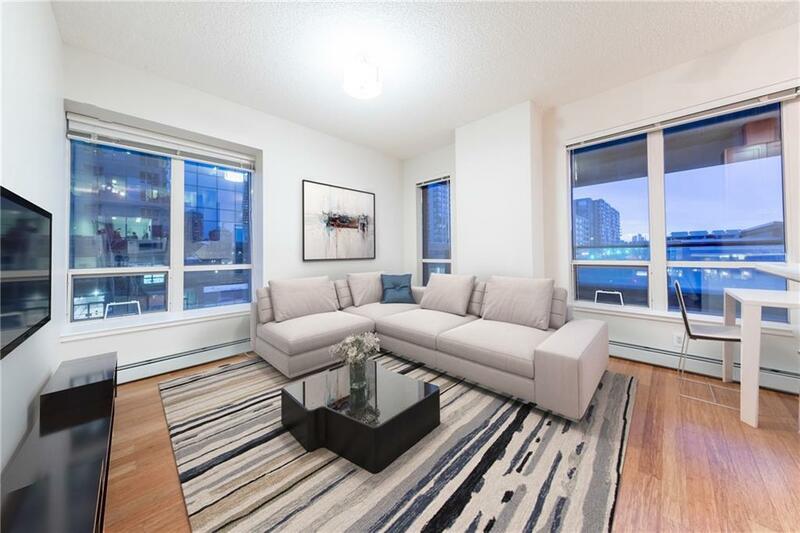 Offering 2 beds, 2 full baths, 10ft ceilings and large windows, this condo is open and bright and was upgraded with bamboo floors and quartz countertops throughout. The open-concept kitchen includes upgraded appliances, a reverse osmosis water filter, additional shaker cabinets, quartz counters, a large eating bar and a floor-to-ceiling pantry. The spacious living room and open dining nook are perfectly situated for entertaining, while the huge balcony is a perfect space to have your morning coffee or entertain for after work cocktails. The spacious master has a private 4-piece ensuite, and the 2nd bedroom includes a large closet and quick access to the main bath. Insuite laundry, secure heated U/G parking, and access to the professional-grade onsite gym is included. 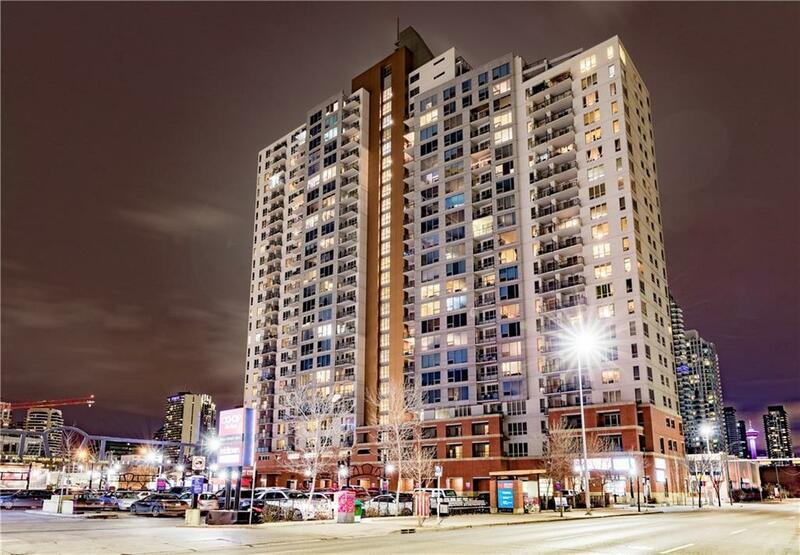 Condo fees include all utilities but phone/cable/internet! 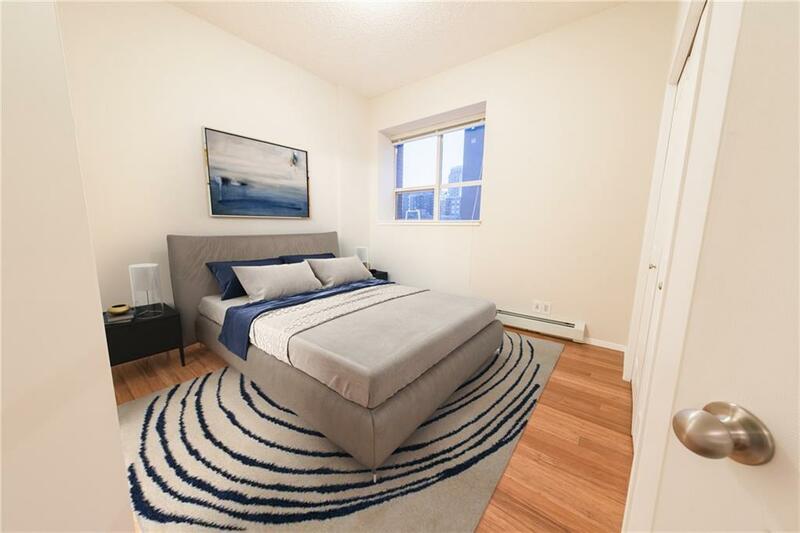 Fabulous location, across from Midtown Co-op, just a few mins to 17th Ave and the downtown core.